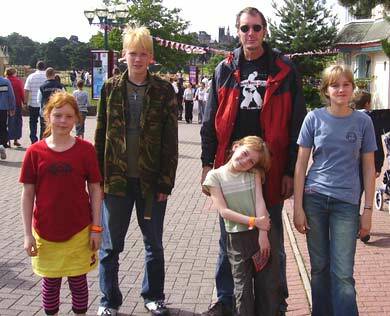 Biggest treat of the year for my kids – we took them to Alton Towers on Saturday. Alton Towers, unlike its American counterparts, does not have a cool fake castle facade made of stucco so they have to put up with a real 17th Century castle instead. You can see it in the background. 8 rides at the Alton Towers Theme Park are considered extremely fun and scary. We did all of them. Here are the photos of the photos taken from the rides themselves that we could not afford to buy. This me and my 3 oldest kids – Sam, Elizabeth and Abigail. I wasnt scared . . . . honest. 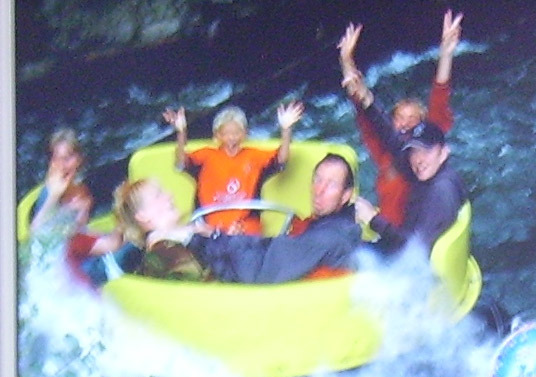 River Rapids was not extreme but they did take a picture of us. 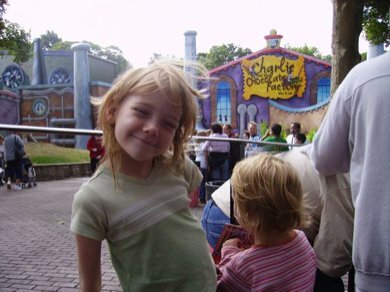 The whole family went on Charlie and the Chocolate Factory ride . 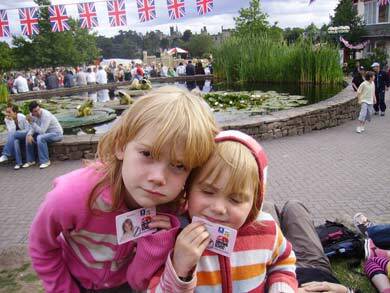 . .
and my youngest two got their driving licenses in Peugeot 207s. Next Post (n)	Inerrancy: Who Let the Dogs Out?